Day 3 in Ghana. Day 8 in Africa. Day 9 of this journey. Heading home in 2 days. It’s interesting how I (by God’s grace?) 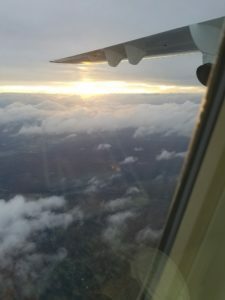 begin to disconnect with where I am and begin reconnecting with where I left about 72 hours before departure. I’ve spent the last 3 or 4 hours working—on work…Corning work. I am still without a working laptop but since the Internet here is much more stable, I have been able to use my tablet to access my work email and files. After 3 or 4 hours I have still only scratched the surface. It is after 11 p.m. now, though, so I stopped working and have started recording this blog. 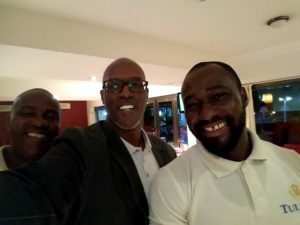 So, after 2 days of meetings, just like in Liberia, the operating plan for 2018 for OHM in Ghana has been set. We are excited about “Getting Back To Basics”! Next: OHM USA…but not before winding down the time here. Gonna get out and travel around a bit tomorrow and have been invited to preach at the Headquarters of Change Life Baptist Church on Sunday. Believe God with me that he will release a word through me that will indeed change lives! As always, your prayers are needed, are welcome and are appreciated. 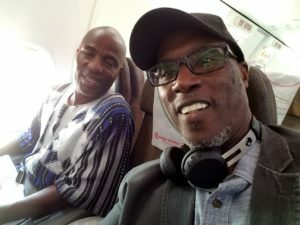 It is 3:23PM and I am on a Kenya Airways Boeing 737 20,000 feet in the air somewhere between Monrovia, Liberia and Freetown, Sierra Leone and I just made a totally unexpected discovery…! You know how a few days ago I shared in the blog how kewl I thought it was that the Lord impressed on me that the thematic focus for OHMIPF next year is, “Getting Back To Basics”? Well imagine my surprise when I happened to notice a message in my inbox moments ago from CT Pastors (CT = Christianity Today) announcing the latest edition of their newsletter. And just what is the title of this new edition? You guessed it: Back To Basics! What?!?! Needless to say I’m in airplane mode so am looking at messages that were received before take-off and discovered that the message was actually received at 1AM this morning. Hmmm, I wonder, did they have enough time read my blog from a few days ago, get inspired by the OHM theme and put together a whole newsletter devoted to it? 😄 Or could it be that “Back to Basics” is something that God is impressing on his leaders (his people) everywhere? All kidding aside, I find confirmations like this really super kewl! Wow, in the time it took me to capture the above we’ve actually dropped down to about 30 ft…that is to say, we’ve landed in Freetown! Flying time was only 40 minutes and the plane seemed to be zooming! It got a bit bumpy going up through the clouds and then back down through them but when you’re zooming you aren’t going through for long. When I say, “we’ve landed”, I mean both the generic (the plane and everyone onboard) and the specific (Bishop Wennie and me, see picture). He and I arrived at the airport outside of Monrovia at around 12:30PM so had a comfortable 2 hours to get our boarding passes, clear immigration and security and get to the gate—all of which we did in like 30 minutes! All of this after getting up this morning at 8AM, packing, showering (the water in room 106 is A LOT better than in 110—the room I was supposed to be in…it’s consistently hot with great pressure…love it! ), dressing and packing. Bishop Wennie and I had a great chat while we waited but the best chat was probably with my Lady Jai. I called just to check in and we wound up talking for 45 min! She was excitedly sharing about her recent bible study and journaling experience and got me excited—especially because there were lots of similarities to what I’ve been teaching and preaching since I arrived in Africa! I think we both enjoy just having a good talk with each other. Even separated by 7 thousand miles it was good to have some unexpected hang time. 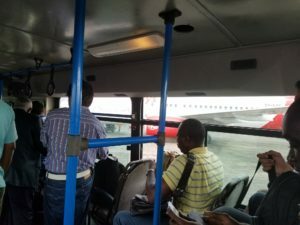 The flight from Freetown to Accra was uneventful (which means it was a great flight!). When I’d checked Bishop Wennie and me in online this morning (I snatched a few minutes online on my phone while the internet was working! ), I’d used a technique that my Lady Jai turned me on to: I found an empty row of three seats and reserved the aisle and the window. Since people tend to avoid the middle seat when they have other options, the likelihood is high that it will remain open and the two of you will have more room to spread out. It worked! We had plenty of room between us with that open seat. 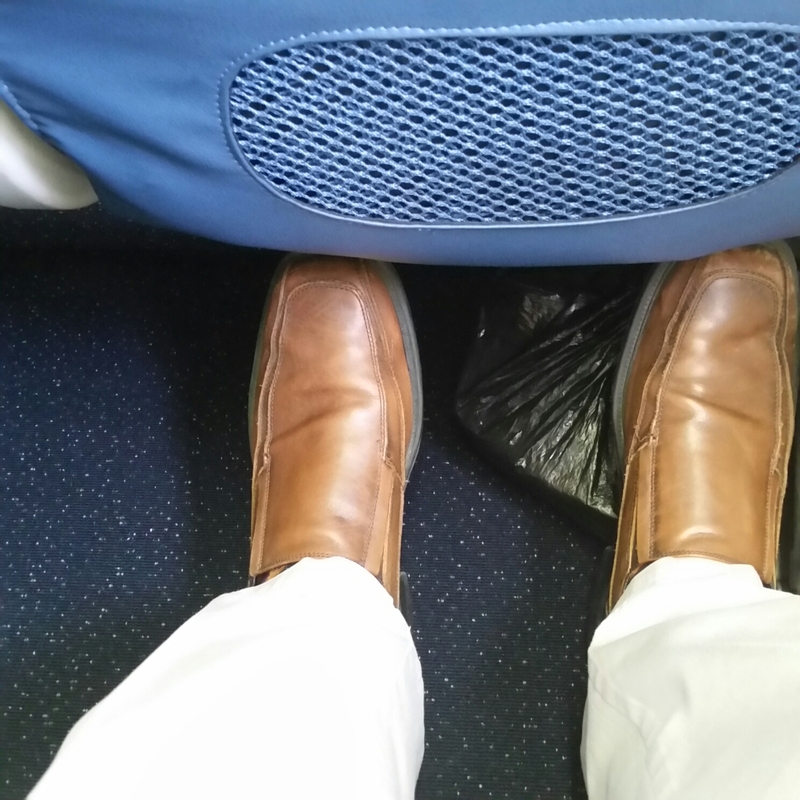 Leg room…not so much! 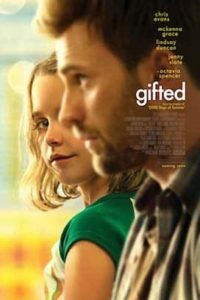 I actually watched a movie for almost the entire flight: Gifted (with Chris Evans and Octavia Spencer). It wasn’t an outstanding movie as movies go but definitely had me ready to bawl a few times. I definitely recommend it! Settling in at the hotel now. The Tulipn Inn has become my regular home in Ghana. (Recall that I got turned on to it several years ago when I was unexpectedly stranded here on Thanksgiving Day. It has been a blessing ever since.) 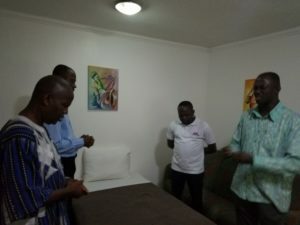 We met briefly with Pastor Damptey and the team, thanking God for our safe arrival and committing what we hope will be a productive visit to his providence. Then we all chilled for a few minutes before our Ghana team bid us good night. Gonna get something to eat and then turn in. I am suddenly exhausted! Tomorrow it’s back to work! The final day here in Monrovia, Liberia (for this time) has been a productive one. 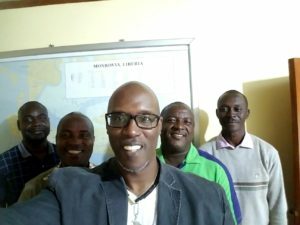 The meeting with the OHM Liberia General Body went well and some very important operational decisions were made in the process. Thank you for your partnership and honoring me as your father in the Lord: Bishop Anthony Wennie, Pastor James Payne, Pastor Benson Ayenje, Pastor Willie Topoe II, Pastor Freeman Kollie, Pastor Issac Gibson, Pastor Jeremiah Kanuking and Pastor Bruel Kolubah! After the meeting I had a session with Pastor Topoe regarding developing the property highlighted in yesterday’s post. When the session wrapped I had a good idea as to what the next steps are and am hopeful that we’ll start addressing them before the end of the year. Returning to the hotel I had a quick chat with my Lady Jai and then took a nap before heading down to The Bash (formerly the Lion’s Den Restaurant) for Lunch/Dinner. (I’ve been eating a very small breakfast each day—a slice of toast, a hardboiled egg, a sausage/hot dog and a cup of tea—and having a hot meal before 4PM and that’s pretty much it besides snacking on Pringles and butter cookies in the evenings.) Dinner today was, what else, Liberian Style Chicken! Day 2 of the revival was awesome! There’s something about preaching here in Liberia this year that’s just been a blast. The presence of God was in the place and the anointing to teach and preach that the Lord visited on me was super special! We even sang “my song” (“My Hallelujah Belongs To You!”). Hallelujah! 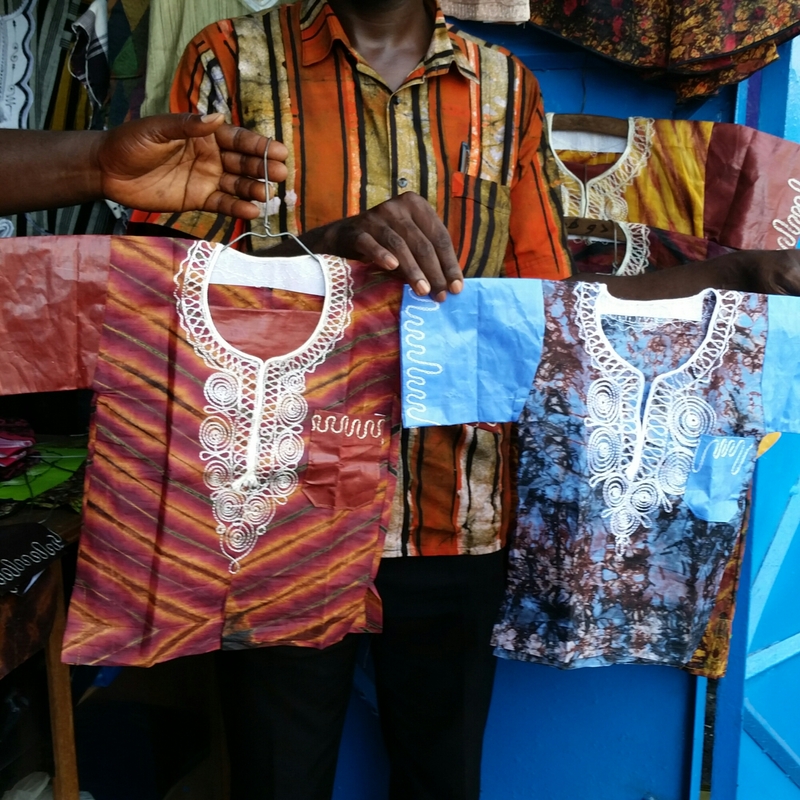 Tomorrow…Ghana. Thanks for your continued prayers and support. So…(ever notice how often we begin a statement with, “So”? )…I’ve been on the ground here in Liberia for 3 days now (it’s been 5 days since I left) home and the mission as been blessed. There have certainly been a few unexpected rough moments but by God’s grace it is well. The trip from the airport was uneventful—oh, except for the accident aftermath that we happened upon. A car that had passed us on the road (going too fast for the still-slick-from-rain road) had apparently lost control (probably having to swerve unexpectedly since even at 11PM in the pitch dark there are people everywhere darting in and out of traffic in cars, motorbikes and on foot). The car was wheels up and a crowd if at least 50 people had surrounded it. It wasn’t clear if they’d reached the passengers or not. Once settled in at the hotel (they’d given my room away!—but provided me a different one at a discount), we had prayer, reviewed the agenda for the next day (Saturday, 10/14) and then I was alone. In my room…in Africa…by myself. Definitely His grace. It was midnight and I was pooped so I decided to wait and unpack tomorrow—and then found myself unpacking any way! That’s when I found the card my Lady Jai had snuck in my garment bag. It says, “Just before you go to bed tonight, look out your window. See that one little star shining down just for you, Handsome? Every time it wrinkles, it’s me saying I love you, and I miss you, and I can’t wait until you’re here with me again. Love, Jai.” What a special way to end my travel day! Saturday’s highlight was a long (2 hour?) drive out to see Elder Sam Ogunwumi. This was after a loooonnngg rest—I didn’t wake up until 11:51AM. 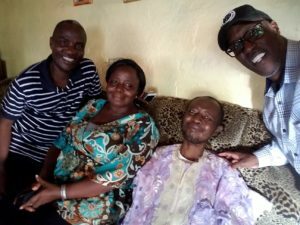 Sam has had battling health challenges for several years now and can no longer get out much so I make it a priority to see him every time I come to Liberia. I told him that with his father in heaven now, he is the Chief Ogunwumi and we must hail the chief! He and hus wife, Victoria (see picture), were happy to see us—as was a room full of ladies who’s happened to be visiting at the same time: his sister Joke (aka Rachel) and nieces Kemi and Patience. It was a nice visit with one main topic of conversation: The Presidential Election! Liberians had gone to the polls just 3 days before my arrival and they were eagerly awaiting the results. Would the winner be George Weah, a former soccer star or the veteran VP, Joseph Boakai? (Time will tell. We got the official word today, Monday the 16th, that Weah and Boakai will are headed to a run off next month. Should anyone be surprised, though? With a field of 20 candidates It’s gotta be next to impossible for any one candidate to get 50% of the vote + 1.) We continue to pray for a fair and peaceful process and transition of power. Church! New place! Life Today Outreach where Bruel Kolubah is the pastor (see picture) recall that he was one of the people who met me at the airport). The service was great. I minister a “remix” of my sermon “God sought”. Referencing John 4:23’s mention of Father seeking true worshippers, I exhorted the people that Worship Overcomes Whatever (aka WOW!). They were beside themselves! From the pulpit to the door all I heard as I was leaving was WOW! That was kewl! After returning to the hotel for what was supposed to be some rest but would up being work time, the time quickly came to leave again. This time we were headed out to Dwarzon to check on the Faith To Face property. 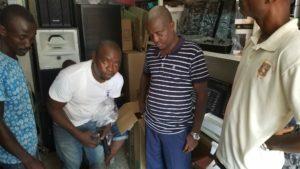 We purchased five lots of land here in Liberia about a decade ago but we still need to develop the property. Much to my surprise and dismay when we arrived I found that a makeshift road was now going right through our property! This is what happens in this part of the world when property is left undeveloped for too long. The plan? Finish building a 6 foot high concrete fence around the property (which will include the road so it will no longer be accessible via our land!) and getting down to the business clearing the land (which is about an acre) and building! Needless to say we’ll need YOUR help so please do donate! We left Dwarzon and headed to Graceland where Bishop Wennie’s new home is nearing completion. It’s a mini-mansion complete with a prayer room, conference room and 7 or 8 bedrooms each with their own bathroom (including a suite for me!) I can’t wait to see the finished work. 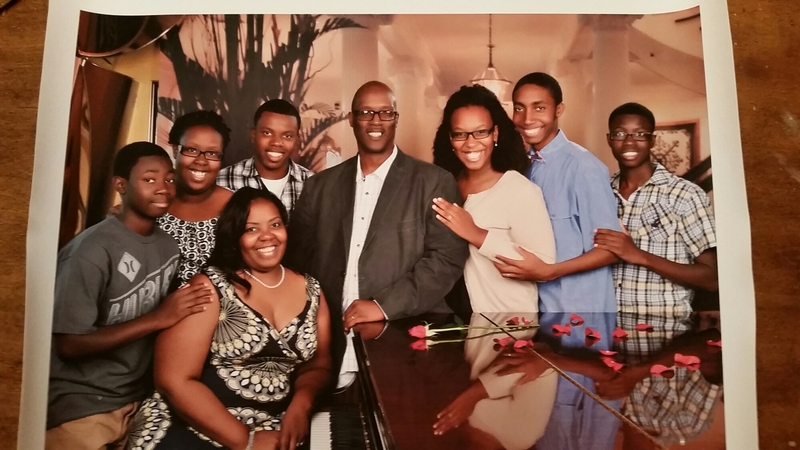 They hope to dedicate the home in February when Bishop marks his 1st anniversary as Bishop. It took about an hour and 10 minutes to reach the hotel after leaving Graceland. More work, more rest! Today, we get down to business. 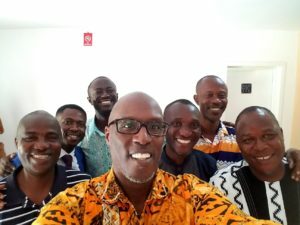 I met with the executive leadership team of the OHM Fellowship here in Liberia. I shared with them the 2018 theme: Getting Back to Basics. Back to Basics was a focus at my company in 2016 and it was kinda kewl to have the Lord impress it on me as the OHM theme and focus for 2018. The meeting with the leaders was great (see picture—Pastor Topoe, Bishop Wennie, me, Pastor James Payne and Pastor Benson Ayenje). Tomorrow I meet with the entire General Body. Tonight…Revival! It was great being back at Overcomers tonight to kick off there 21 Day Revival Encounter. My sermon, “Neighbor, you’re in danger!” (if you don’t learn and apply the word of God). There was a wonderful teaching anointing on me tonight; I could actually see the word reaching the people. In the midst of the teach, though, I was led by the Spirit to ask if anyone present had hearing problems. No one did but rather than assume that I’d missed God (which has certainly happened from time to time! ), I encouraged the ministers to be ready to pray for healing when those with hearing problems showed up later during these 21 days. Do you not know that after I was escorted to the Bishop’s office following my closing prayer that 4 people came forward with hearing problems?!?! Apparently they’d had trouble with my accent so hadn’t understood that I’d wanted to pray for them earlier! God, you are truly amazing! Just when did I stop liking to fly? Did I ever actually like it? As I write I’m actually on the 3rd plane I’ve been on since leaving home some 32 ½ hours ago. 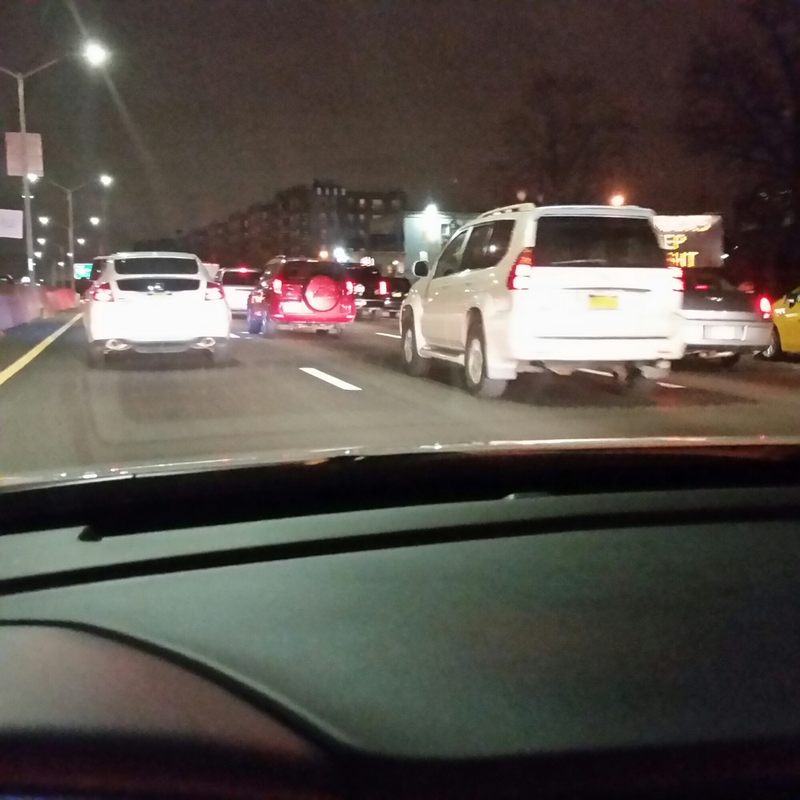 The 6 hours at JFK passed pretty quickly as did the 6 hour flight to Amsterdam. The 9 hour layover in Amsterdam, though, not so much! It’s all good, though. Within an hour of landing I’d made my way to Transfer Desk 6 to pick up my boarding passes for the rest of the trip to Liberia (they couldn’t give them to me in New York because my layover in the Netherlands is longer than 6 hours…who knew this was a thing?) and found a cozy, if not comfy, place to crash. I actually managed to get a good nap in, too. I’d planned to sleep for 5 hours and then get up and call in for the 6AM prayer call that I lead on Fridays (6AM in NY that is); instead I only managed to get about 90 minutes—and I’m sure it was one of those mouth-hanging-open, snoring-up-a-storm deals! Had I not been solo on this trip surely I’d have been photographed AND videotaped by whomever was traveling with me! Solo. I just realized that half of my trips to Africa have been solo. A team of 1 (1 person, that is—I’m never alone though, you know that!). 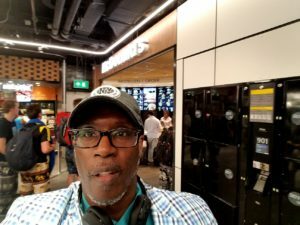 When I first started my sojourns to the Motherland, I would NEVER have even considered the possibility of making the trip alone. We (Min. Ricardo Rowe and I) were knowingly traveling into a war zone after all! (What were we thinking??? What were our wives thinking??? About one thing and one thing only: Obeying the will of God. Min. Rick will forever have my respect for his faithful sacrifice in following me to Africa that first time.) Since my first solo trip in July of 2008, though, it’s become apparent to me that solo is in my DNA. Don’t get me wrong, the team trips are still the best (you don’t want to experience Ducor in Liberia or Kakum and Elmina Castle in Ghana solo!). Still, I do solo pretty well. My family even gets on me about this. After 31 years of marriage, 6 kids and a grandboy, I still enjoy solo—as long as my crew isn’t too far away (just downstairs or a few minutes’ drive). That’s the hardest part about these trips (or any trip that takes me more than a few hour’s drive away from home. Once I’m wherever I am, solo is the only option until I get back. So back to my original thought: Just when did I stop liking to fly? I guess if you force me to, I’ll admit that I still do like it. I do, however, recall when the joie de vivre that attended my long distance air travel more than 30 years ago started to wane: It was after we had kids. And then 9/11 happened. And then I became a Grandpa. My reality: I have too much to lose (or leave behind) if something were to happen to me. THE reality: But by God’s grace, something could happen to me on the drive to the airport! So, since I am called to the nations and can’t easily get to them by boat, I’m gonna be flying and from this moment on I choose to enjoy the experience…as much as I can! Tray tables and seat backs up. 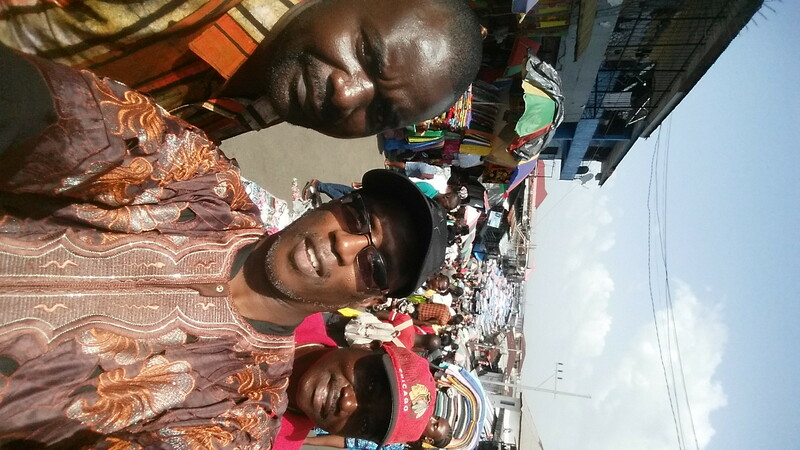 We’re about to land in Freetown…then on to Monrovia. After finally making it to bed after midnight on Tuesday (after reaching Ghana from Liberia) I was back up at 6:15AM to get washed and dressed and ready to head back to Kotoya International Airport in Accra. While getting ready I had the TV turned to BBC news and they were running real time reports on a raid in St. Denis (outside of Paris) at an apartment building where the leader of last Friday’s terrorist attack was believed to be hold up. Also in the news were reports that it was a bomb in a soda can that was detonated on the plane from Eqypt a few weeks ago. While world powers are using their resources to combat those who are (or would) carry out these heinous, cowardly acts, the people of God must recognize that we, too, have a resource: PRAYER! One thing that we MUST NOT succumb to is fear! By God’s grace we’ll be looking at this very thing on Sunday at Faith To Face. I declared in Africa and will proclaim it here at home as well: We will fear no evil (not ISIS/ISOL, not terrorists of any stripe, not Ebola, not racism) for God is with us! 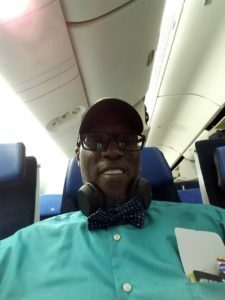 That truth was so settled in my spirit that I was completely at peace as I we soared 7 miles above the earth for 11 hours from Accra to NYC! 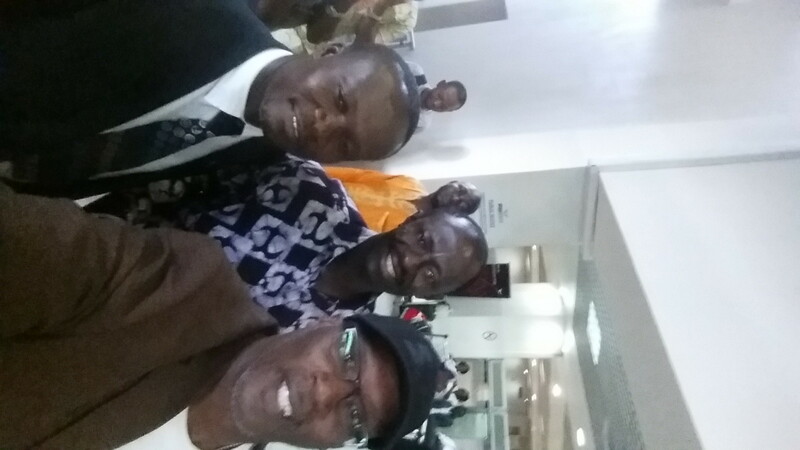 At the airport, I bid farewell to Pastors Amoah and Damptey (we got in a few more photos) and headed to immigration and another 2-3 rounds of security checks before eventually getting my at peace self on the plane. What I wasn’t so peaceful about was the woman seated next to me. Before we took off she was sniffling and then that turned into intermittent coughing and hacking. Ugh!!! I thought to have my seat changed but I was in the perfect spot: window seat, emergency row, preferred seat. Look at the leg room, I can stretch my legs completely and my feet don’t even reach under the seat in front of me! Nope, I’m not moving; God, thank you for the shield of faith that envelopes me and protects me from any and all germs and other ickiness that might be released into the air by my fellow travelers! The flight was great. Some turbulence but, like I said, I was so at peace I didn’t sweat it. I was too busy marveling at how God God is. Last year we’d prayed for an end to the Ebola crisis and mid-year this year we got word that Liberia had been declared Ebola free. As I landed in West Africa on 11/6, the word was out that Sierra Leone had been declared Ebola free as well (it’s one of the next places that OHM is looking to be established). On the ride back to the US I was struck (again) by how, back in 2003 when we first went to Liberia (during another crisis! ), this 2015 trip was already history in the mind of God! We’ve just caught up! Once we landed at JFK it probably took longer to walk TO Immigration than to get THROUGH Immigration. The process is significantly automated (good thing?) so I may have been in and out in less than 3 minutes. Baggage took a while longer (LOTS of people on the plane and lots of luggage). Still, the wait wasn’t too long and my two bags arrived almost unscathed. (One had was a little torn—which is why I don’t understand why some people check expensive looming luggage; have you not seen how stuff gets thrown and stacked and thrown some more?!?). I immediately decided I didn’t want to drive home! I was not going to be just 280 miles from my wife and kids, though, and spend another night apart either. So, home I drove. I had to make a few stops (just two: one for Burger King—first “processed” food I’ve had in 2 weeks—and one for snacks when I was getting tired). I arrived just after 11PM. After 14 days, 14 thousand miles, 9 Worship Services, 2 extended trainings, 12 meetings and what I believe will be positive impact for years to come…Home. The flight tomorrow is 11 1/2 hours. Getting through Immigration, Baggage and Customs at JFK usually takes another hour. Getting to the Rental Car Center and loaded up in the car, another 30 minutes. Drive home, 4 1/2 hours. Lots of time to reflect…lots to reflect upon. 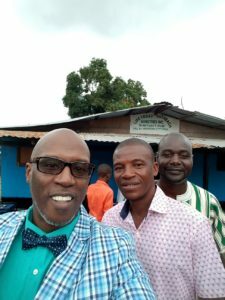 “Bishop, what do you think about the visit this time?”, asked Pastor Anthony Wennie as we traveled back from Dwazon, Liberia where we’d just visited the Faith To Face Ministries property. “This visit has been a turning point”, I replied. A turning point. 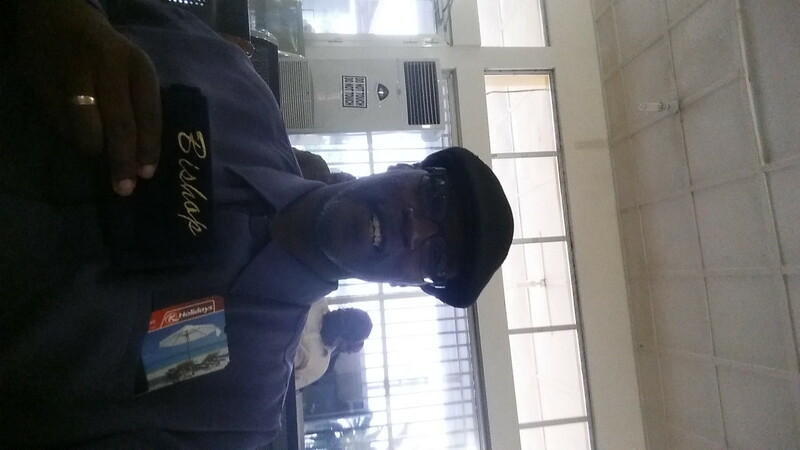 After nearly 13 years coming to this, Africa’s oldest republic, I have felt, witnessed and been used to usher in a shift in the move of God in and by OHM Liberia. Pastor Wennie’s response to my reply was that he and Mother Wennie had discussed this same notion earlier this morning. I was personally blessed by their additional observation that they’ve witnessed me move to a new level of anointing. I receive it! After leaving the property we headed to town for a little shopping. Where? Waterside, where else! While I don’t get lots of clothes when I visit (used to when we were first coming), I still pick up a few items each time I come. This time the focus was on a few little people. Thinking of focus, I enjoyed some unexpected “hang time” with K.O. (my driver) and Pastors Fayiah Harris and Willie Topoe while out and about today. As we walked around Waterside and then made our way back up Randall to the Benson/Gurley area (up steep hills in the heat of the day!—I’ve lost 10 pounds if I’ve lost an ounce this trip! ), we did what guys do when they have time: We talked. We talked about everything from the differences between shopping experiences here and back in the US, to how Africans often tend to change their public lifestyles once they reach the states, to the problems with credit cards and high interest loans to why people will take incredible creativity and ingenuity and use it for identity theft and fraud rather than apply it to good works that can benefit society . 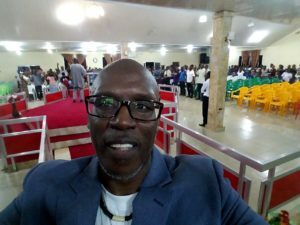 We even discovered that, like in the states, there seems to be at least one person in every church in Liberia who the Lord speaks to more than he spoke to Abraham, Isaac, Jacob, Moses, Joshua, all the prophets and their pastor combined! 🙂 Conclusion: People are people everywhere! On the way back to the hotel I asked my driver and the pastors who were with me if we could pull over and take a picture. Do you see why? 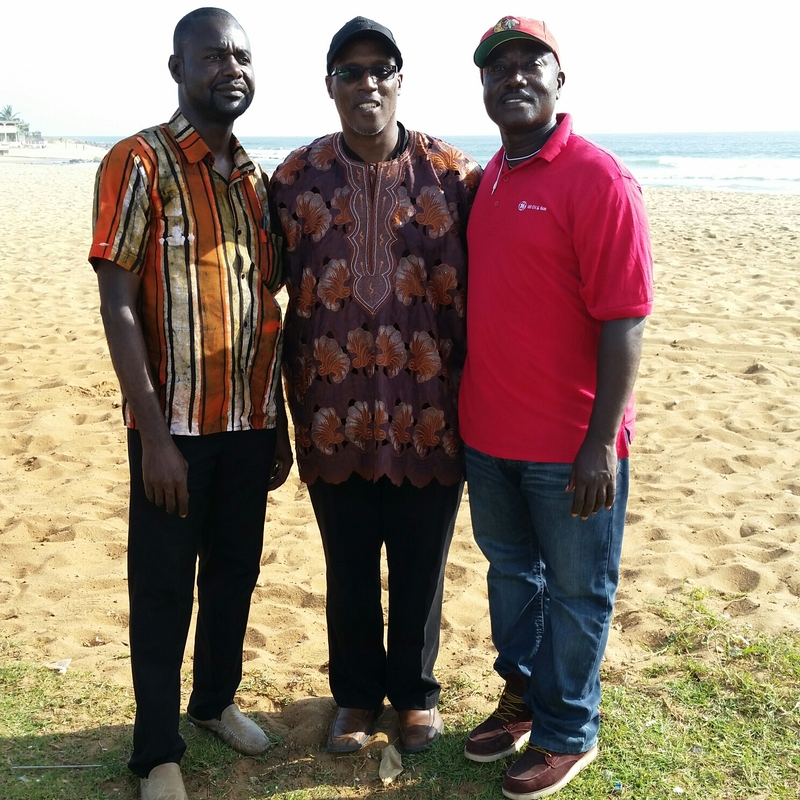 It’s easy to forget that the western border of Liberia is the Atlantic Ocean and parts of Monrovia are beachfront. It’s beautiful…and amazing to think that 6 thousand miles northwest across that same ocean is New York, USA. Home. 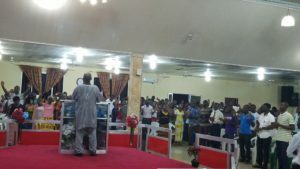 The wind down has begun here in Monrovia, but not before a busy day that included two meetings and 3 worship celebrations. I was honored to be the guest speaker at the 20th church anniversary celebration at service #3. My sermon: “The wait is over; ready for war!”—spiritual war, that is. We sang, we danced, we worshipped, we celebrated. My clothes were fully drenched when I reached the hotel. I think I could have literally wrung sweat out of my suit coat, shirt and t-shirt! 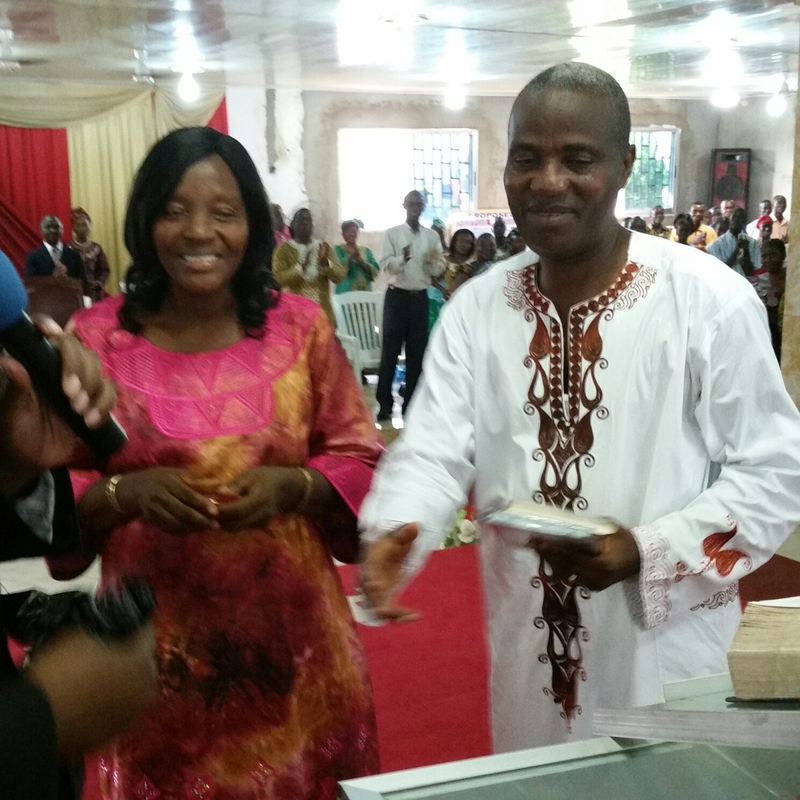 Before I ministered, I presented gifts to Pastor and Mother Wennie on behalf of myself, my Lady Jai and Faith To Face Ministries. En route to the first service this morning, I felt impressed to share a word taken from Jude 24-25. I’d preached a related word from Eph. 3:20 back home last year: “Him that is able!” I’d almost convinced myself that I was just recalling how awesome that message was when it came to mind today and that I just wanted to share an encore here—then we walked into that first service (at Christian Worship Center with Pastor Payne) and what were they singing at that very moment? “He is able (to carry me through)!” Now mind you, we were 30 minutes behind schedule when we arrived for service. Had we been on time, not only would that song not have been being sung right when I walked in, I wouldn’t have even been thinking about sharing a message about “Him that is able” since the Lord hadn’t impressed it on my spirit until about 15 minutes before we arrived—that is, when we were already 15 minutes late. It was clearly a set up! I carried that word with me every other time I ascended a pulpit for the remainder of the day. Tomorrow we travel to Dwazon where Faith To Face Ministries purchased property several years ago and where I am hoping we will at long last be able to build a reception center that will serve as a place for our teams to stay when coming to Liberia to serve, as a chapel for the members of Faith To Face Ministries in Liberia and as a low cost alternative to hotels for other missions groups when they come to Liberia (with the revenue being pumped right back into ministry here!). You can help! Visit our GoFundMe page at gofund.me/ftfmissions and make a donation. I’ll be returning to the States with the architect’s drawings for the project and will post them to the page (but you can donate right now!) By the way, you can always give directly via our mimistry website, too (www.faithtoface.org).